Saturn is the workhorse brand for General Motors and millions of satisfied car owners purchase cars like the Ion. The 2.2L GM motor is what is used inside of many Saturn cars and this is one reason why so many are still traveling on the roads today. GM’s Ecotec technology is reliable and is what provides no trade off of performance versus power. 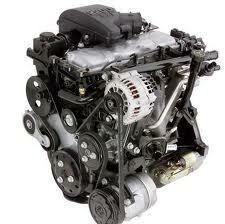 Our car engines for sale include the Saturn Ion 2.2L engine for sale and we sell this for a cheap online price. You can buy either a rebuilt version or one that is used. Excellent condition engines with lower miles on them are what we have in our inventory 365 days a year. The Ion might not be produced anymore by General Motors but we have the 2.2L engine. This engine is used in many other GM cars and will be around for a long time. The expertise of the builders that work inside of our engine facility is what we use to establish if an engine is worthy or not. It takes some time to find engines that are able to be rebuilt and we make our decisions carefully. What we bring to our customers are purely genuine engines that startup great and don’t have the issues that so many engines sold online have. It’s hard to believe it although in the 21st century there are hundreds of engine sellers that avoid warranty protection. Engines are one of the few pieces of equipment that are built that can have problems immediately regardless of age. The complicated parts are interlocking together and anything can go wrong. We employ experienced mechanics and we know exactly what to do to produce excellent 4-cylinder Saturn engines. We use the best GM parts and never trade a cheaper price for something that is a quality component. Engines are not cheap to build and are certainly not cheaper to rebuild. We invest in our experience and quality and it is reflected to each of our customers that buy engines from www.carenginesforsale.com. Whether you are an Ion driver, mechanic or body shop doesn’t matter to us. What concerns us is how fast you get one of our shipped engines. We receive General Motors deliveries several times each day in our warehouse. These engines are routed as used or ones that get rebuilt and we tag them correctly. Orders that come through our website or by phone are processed very fast. Our team of sales associates are friendly and work expertly to get engines shipped out the very day they are processed. We have invested in ways to streamline our business and it works very well to our advantage. Pricing engines low is one of the things we do best here. We know what MSRP is and we’re way, way lower than that. It is exciting for us to offer such low pricing and it surprises our customers when we give them a great deal. Use this website to get your quote and fill out the Saturn quote form. It’s easy and really fast to use. Call 1-877-630-3873 if you’d rather learn about how less of a price you pay over the phone.